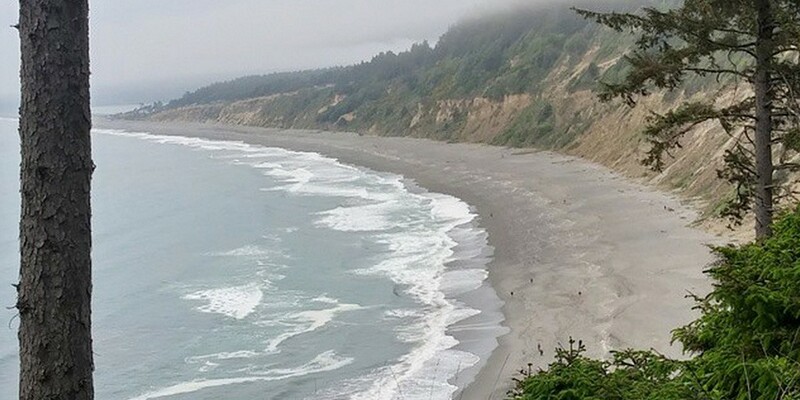 Fiber folk: The Lost Coast is one of my favorite places to visit and one we frequented when living in California, because of it’s incredible beauty and good people, like my friend Annie and her family. I remember getting a text one day from Annie saying that I needed to check out this new local yarn, Lost Coast Yarn. A few months later it popped up again when talking with this weeks sponsor, NorthCoast Knittery, the exclusive retailer of the yarns and I knew there had to be a story and special person behind it, and there was. 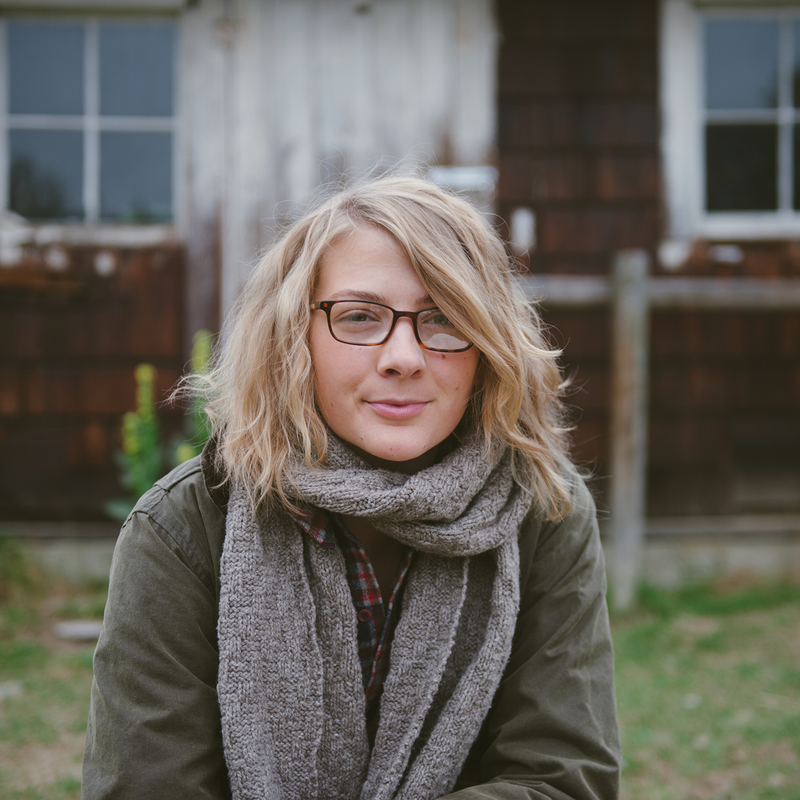 Amanda Malachesky is the dreamer and doer behind Lost Coast Yarn, a new small batch yarn company that sources local fibers and natural dyes to create their line of hand-dyed farmstead yarns. You can find Amanda at Facebook.com/lostcoastyarn and her yarns at northcoastknittery.com. Sponsor: I want to thank our other sponsor for this week’s episode 6 Bits Storybooks, a digital quarterly publication for knitters who love to immerse themselves deeply in their knitting experience…from the mouths of story tellers: knitters, photographers, writers, designers, friends & nature. These storybooks incorporate designs, imagery, location, words, learning and tools to create an deeply engaging experience, taking readers on a journey. 6 Bits was created by two incredibly passionate and inspiring folks within this community, Melissa and Melody, and their excited to launch the first storybook this week, so keep an eye out and subscribe at 6bitsstorybooks.com and find them on Instagram @6.bits.storybooks, @mskiknits and @bmandarines. Man on the Street: For this week’s “Man on the Street” I asked the question, “What sort of local fibers/yarns/fiber farms have you discovered in your area?”. We had some great replies from Leanne @leannecoppola, Sam @samanthamaylamb, Kerry @kerryrobb, and Jessie @bonvivant. Giveaway: The winner of last week’s giveaway is, Maggie B. You’ve won 2 skeins of Savannah yarn and the Norie Hat pattern from Castaway and Folk! Congratulations! This week’s giveaway is sponsored by Lost Coast Yarn, and they’re giving away 2 skeins of a wool and alpaca blend 3-ply yarn, naturally dyed with Logwood. We’ll also be giving away a pattern of your choice from designer Ashley Hurst’s new Lost Coast Collection. To enter this giveaway, leave a comment on this blog post. Love your podcast and this yarn looks lovely! I love your podcast and look forward to it impatiently. Thank you for another wonderful episode. All of your episodes are so motivating to get to as close to farm to needle as I can. This yarn sounds just lovely! The yarn sounds and looks yummy, crossing my fingers. Thank you for this episode! Yarn looks amazing! I’ve been learning so much by listening to your podcast. I look forward to it each week. The yarn, and patterns are lovely. Thank you again for my favorite podcast. Would love a chance to win this beautiful yarn. The yarn looks and sounds gorgeous! That yarn is just so gorgeous! 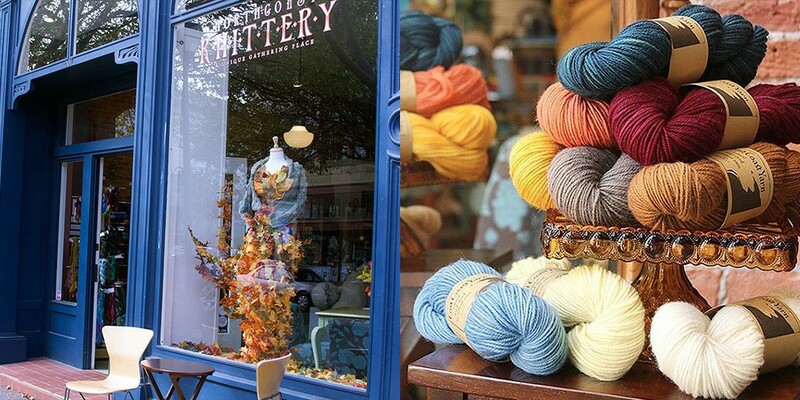 Oh how I wish I could jump on a plane to CA to visit North Coast Knittery right now!! I would love to see all of Amanda’s beautiful yarn in person. I am really loving all your podcasts! Love that I learn about new to me yarn, too. An enjoyable podcast. I love hearing the story behind yarn dyers and their yarns. Thanks. Beautiful yarn and the pattern collection is really nice! Thanks for another lovely podcast. It is great to hear about more and more local yarns. Such a fun giveaway! I’d love to win! This week’s interview is great, again. 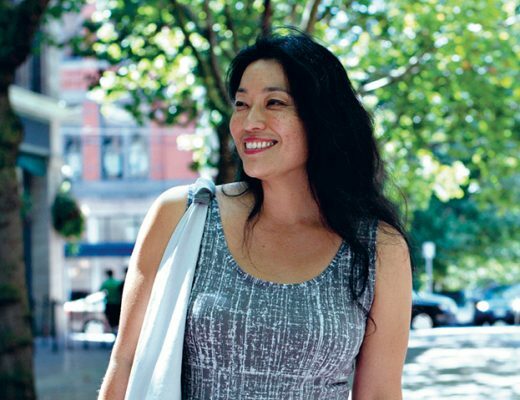 It is so inspiring to hear how a small business evolves. Thank you! Another inspiring episode. The Lost Coast is one of my favorite places that I’ve ever visited, but somehow I missed this yarn shop when I went last year! 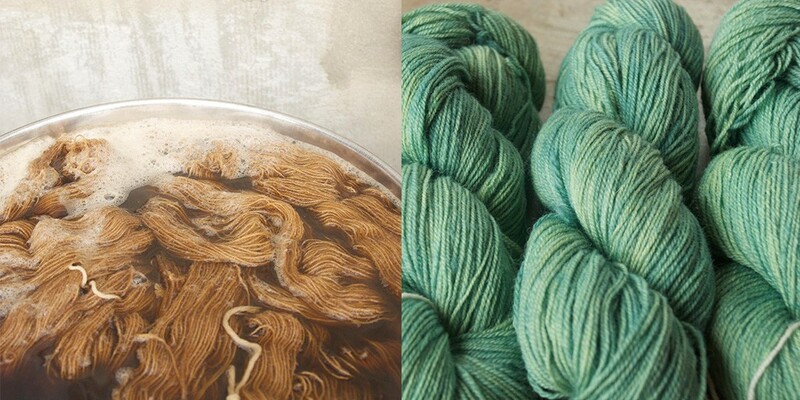 Loved all the natural dye talk! I am just on my wayto settle down with my knitting anf this episode after holding our wee girl’s hand to help her get to sleep. Loved this podcast! Amanda’s reflections on her struggle to balance her creative pursuits with the limitations of life with small children totally resonates with me. As a mom to an 8-month old, I am full of knitting inspiration but lacking the time to follow through. These days, I’m all about simple shawls! I love your podcast and the yarn looks wonderful as do the Lost Coast patterns. Thanks again! thank you- really enjoyed listening! I’m really enjoying your in-depth podcasts. Thanks for another terrific giveaway. The yarn looks lovely. I especially like that it is 3 ply. I haven’t had a chance to listen to the podcast yet but am looking forward to a peaceful afternoon of spinning and listening. i like hurst’s trinidad design. Tuesday is my favorite day to walk home from work because I get the pleasure of listening to your wonderful podcast. Thank you. You make my life richer. Thank you, the podcast was inspiring to support local yarn producers and to encourage fellow knitters to do so. Would love to knit up Agate for my greatnieces Keeliegh and Emma. Lovely podcast as usual – a nice escape for me. Love your podcast. I think of it as the NPR of knitting! North Coast, Lost Coast…I’ll take any coast, please. It all seems lovely! I was just wondering, are the giveaways for US listeners only? I live in Australia and would love to win, Would my entry count if I offered to pay for shipping? Loving to hear about the organic growing process this brand went through. Thank you for another great podcast, I’m always looking forward to receive your email abour a new episode! Another fascinating interview! Thank you! The yarn looks beautiful! I love that it’s dyed with plants from the area. I wish I lived closer so I could go pick some up in person. I can’t tell you how excited I was to hear about Lost Coast Yarns! This past summer my son and I took a journey up the coast of California and Oregon, stopping to hike or camp wherever we felt like doing so. One night we camped on the beach on the southern end of the lost coast. If I’d known then about Northcoast Knitterly I probably would have sought it out. (Next trip, right?) I’d so love some Lost Coast yarn to commerce that trip! 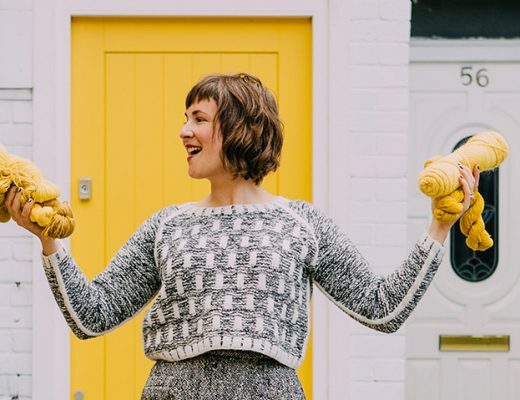 Ashley, your Woolful podcast is so fabulous and inspiring! You are a very special lady! Just this past week I had to be in Windsor and knowing about Cast Away and Folk in Santa Rosa from your recent podcast, I stopped in. What a lovely, charming store! Thanks for all you do. Oops! I meant commemorate (not commerce). Anyone else hate autocorrect sometimes? Delightful, as always,and 6 Bits looks really intriguing! Very interesting episode! Thank you! Lovely episode, I so look forward to these stories. 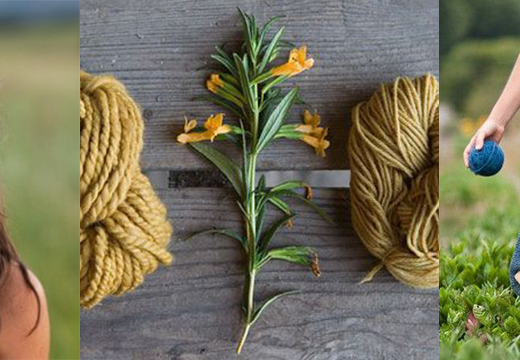 Would love to try Amanda’s naturally dyed yarn! As I’ve gone deeper down the rabbit hole of knitting I’m fascinated by how we all get super interested in the steps that come before the yarn in our hands moving around the knitting needles. What a great telling of the journey from hobby to life calling and finding the way from farm to needle. Thanks for sharing this story with us. I’m already planning a road trip! I’m catching up on this and a bunch other podcasts I’ve missed! Keep up the wonderful interviews! All of her colors are just gorgeous. I can’t imagine what the yarn feels like! Seriously lovley yarn! And thanks for the great podcast. Another great episode! I love being introduced to fiber folk through your podcast! Thanks for another great installment of podcast listening ! Another very interesting podcast, I’ve been wanting to try more worsted spun yarns and will definitely keep Lost Coast Yarn in mind for a near future project. Thanks again Ashley! 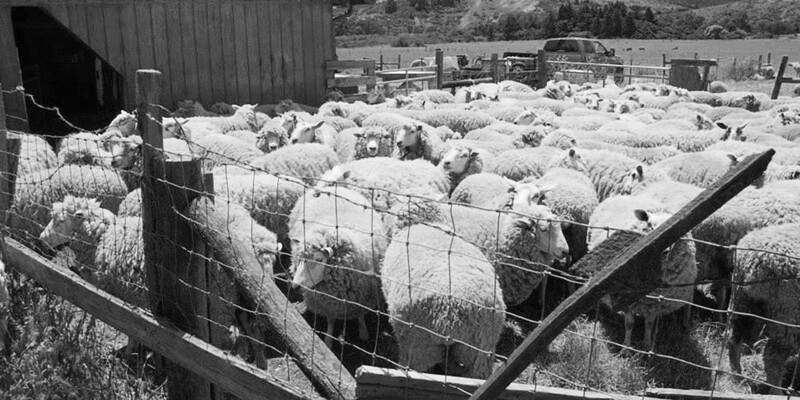 Local California wool. Can’t say that too often. being a Californian, I’m going to get me some of this wool. Thanks again for another great episode! 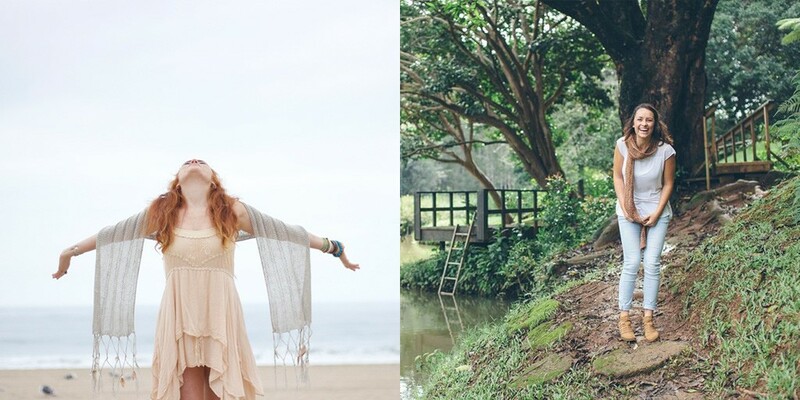 so inspiring to hear what people generate when they set their minds to it! Looks like amazing yarn — would love to try it! It’s been years since I’ve been as far north as Eureka, or even Sacto. Would love to see the shop and that beautiful yarn. 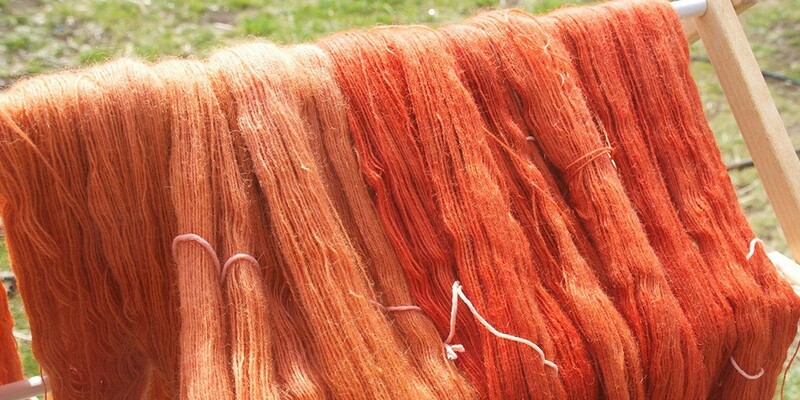 The pics are wonderful – especially all the orange yarns. I need to know more about permaculture! Your podcast has really piqued my interest over the last few months. Amazing yarn and story! Thanks! Such a pleasure listening to this episode. A very inspiring story! Another interesting podcast and an interesting name for the yarn– love it ! Thank you for another great episode. I’m always looking forward to listening to this podcast. Beautiful yarn and lovely story! Thank you. Oh boy, I have some catching up to do! Now listening to the latest episodes. Thank you for all your work and sharing! So fun to hear about grassroots projects that blossom with perseverance and love. Would love to hear how progress is going with your mill in Idaho. What a wonderful episode! Thank you so much for the great giveaway! I loved this episode! I also love Amanda’s story of getting into the fiber business and her approach to the business. Can’t wait for the next episode! Lovely looking yarn. Thanks for the opportunity. How fun to learn about another local product! CA is great! Loved this week’s episode! It would be so wonderful to win that yarn. Thanks for the opportunity! I love the sound of the Lost Coast! Both the place and the yarn! Thank you for another great giveaway!! I have an hour commute to work each way everyday and I’ve recently discovered your Podcast about a month ago… I think I’ve already listened to at least half your episodes! Very inspiring and I’ve learned so much in the past month. Thank you for making my commute a little easier and fun! Your podcasts are such an inspiration. I started knitting last year as my learn a new trade project and since then have acquired a fiber and knitting obsession. 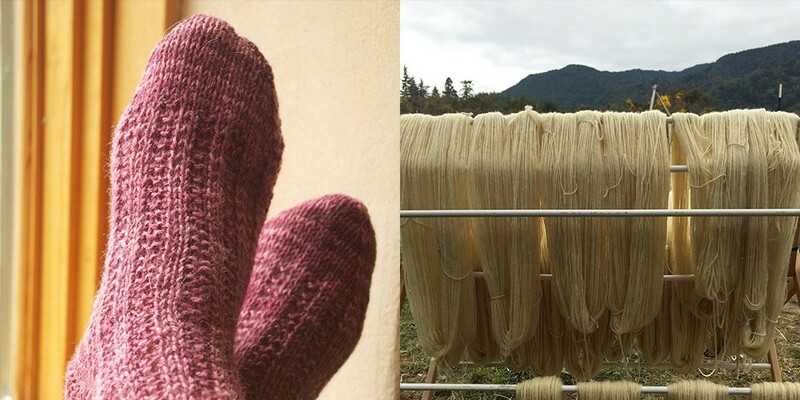 It’s lovely to hear the process, ideas, and encouragement from other fiber folk. Thank you. Great episode and lovely looking yarn. Great interview, inspiring as usual! Catching up on Woolful podcasts during my staycation. Today I’m spinning local fibre (Romney woool from Stoddart Family Farm just northeast of Toronto) and knitting wool from eastern Ontario (Topsy Fams on Amherst Island). 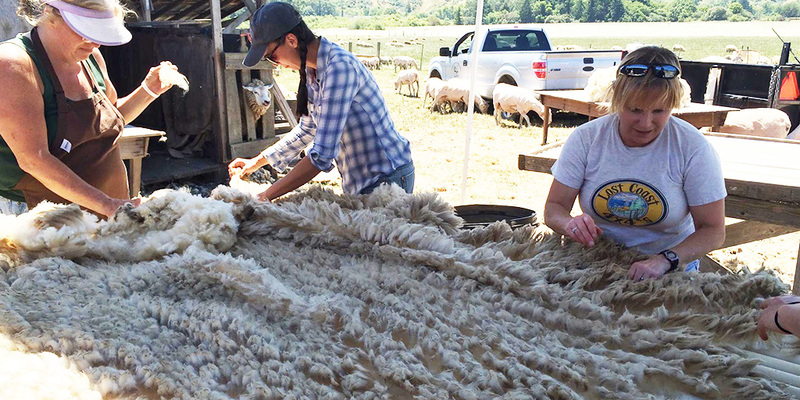 I love hearing about locally-sourced sheep-to-yarn production. I’ve recently come to the conclusion that I want to spend my knitting time on meaningful, personal projects using yarns that I can trust came from animals who were treated well, as opposed to inexpensive, mass-produced yarn whose production process would probably make me cry. (I really have no idea how animals are treated in big yarn production operations, but I’m hiding my head in the sand. If it’s anything like the production of eggs and meat, it can’t be good.) So, any future yarn purchased from this point on will be researched and deemed “kind” and “sustainable” or it won’t be coming to my house. Thanks, Amanda Malachesky, and Woolful for letting us know about this. Lovely interview as always, thank you for sharing. As I move deeper into the fiberverse first with knitting (a bit of crochet) then spinning and weaving, I’ve been mulling over getting into dying. I’ve taken a two classes but haven’t felt ready to take that plunge. This episode pushed me closer to that edge and opened up a better understanding with the overdye discussion. I appreciate the thoughtfulness and well curated discussions every week. Listening to this is so inspiring. 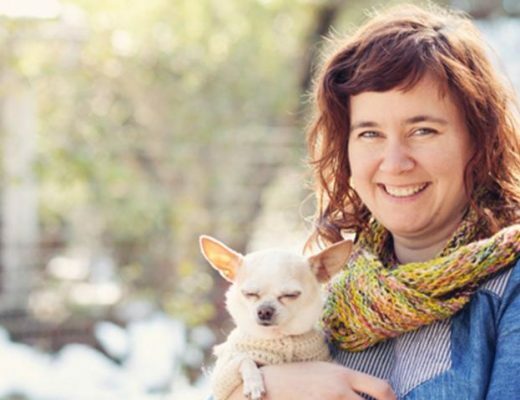 Amanda’s yarn is absolutely beautiful, and I love hearing the story behind her yarn! Thanks so much for the wonderful podcasts! 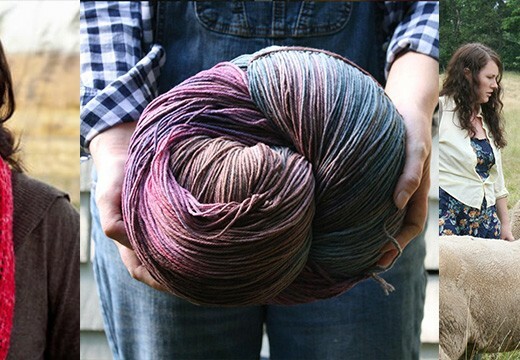 Thanks for another great podcast, Ashley, and giving us an introduction to Lost Coast Yarn. Just discovered this blog and podcast. Love it! I appreciated the man on the street question this week. I’m located in Columbus, Ohio, and am hungry for some local yarn! Thanks for a lovely interview. 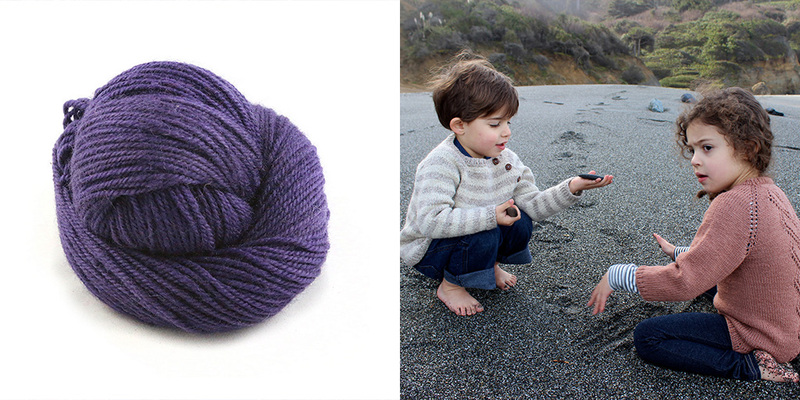 I think my knitting friends might be getting some lost coast yarn for Christmas !! Thanks! I visited Lost Coast a few years ago, and after listening to the podcast, I think it’s time for another visit :). best podcast I’ve ever listened too…. now I have to catch past episodes. Thank you for the thoughtful consideration that obviously goes into this production! I loved this episode, what diversity! Yet another great podcast! Thanks again — really enjoy listening to every one! Lost Coast reminds me of Brigadoon and Magic. I want to find it someday.